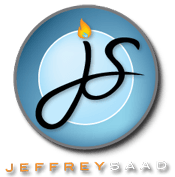 Jeffrey Saad has had a longish relationship with San Francisco. He operated three locations of his Sweet Heat Mexican restaurant here in the 1990s, was part of the initial team that started Pasta Pomodoro and is now the executive consulting chef for all The Groverestaurants. Tomorrow the one time The Next Food Network Starfan favorite, will add his ownCooking Channel series to the list with the debut of United Tastes of America at 6:30 PST. Here Saad reveals some of the SF restaurants featured on tomorrow’s episode, the restaurant plans he’s got going with his wife and what he can’t get enough of from Delfina Pizzeria. You recently moved back to the Bay Area. Where do you live now and what prompted the move? We live on Jackson and Divisadero with our two girls and we are so happy to be back. I met my wife here in 1993 on the street. She was waiting tables at Cafe Adriano and I was setting up at my Marina location of Sweet Heat when I saw this amazing woman walk by. That’s a great story. And now you’re working San Francisco into your own food show. How many episodes will air over the next few months?There are 13 total, about three months worth. Tell me about it. The name says so much to me. So many people and so many flavors are brought together in America. We focus on one particular classically American food per episode and explore how it evolves across the country. We cover everything from the history of the food to the latest, greatest and most outrageous version. The first episode is devoted to pizza, right? What spots do you visit? First we go to Lombardi’s [in New York] to get that authentic, original slice fired at 900 degrees. We go to Joe’s for a slice of classic everyday pizza. We have a great scene with Nate Appleman at Pulino’s where he walks us through his pizza-making process.Well that’s cool. You’ll have some of the last footage of Nate at Pulino’s. Did you know he’s no longer there? Really? I had no idea. I just left him a message and haven’t heard back. So maybe that’s why. Maybe! Anyway, we’d love to know where you went in SF for the pizza episode. We go to Tony’s in North Beach. Not the new one, but the original with all the ovens. Tony taught me how to toss pizza. It’s a great scene. Then we go get Indian pizza at this place that puts things like tiki masala on pizza crust. Is it Zante’s? Yeah, it’s like having an all-you-can-eat Indian buffet and then you have a pizza. Your mind and palate really start playing games with each other. What do the other episodes cover? We do hot dogs, ice cream, meatballs, french fries, tacos, pie. We go to Mission Beach Cafe for that episode where Alan Carter really does everything his own way. He tells me you can basically take everything you thought you knew about baking pies and throw it out the window. His results are amazing. We also do a fun one on sandwiches: everything from bahn mi to traditional subs. What’s your favorite thing about your new series? Basically it’s like a culinary adventure. I’m always involved. If we’re making the dough, I’m getting my hands dirty. So now what’s up with you and The Grove? I do all the food consulting there. I create recipes for them and also do some general concept consulting. We’re about to open one on Franklin and Hayes in December or January so I’ve been working on some new items for that. What are some of your favorite menu items at The Grove? The pear and gorgonzola grilled cheese with arugula. I like that we can explore a lot of global influences. We just took a Moroccan style chicken salad off the menu, but now we’ve got a Chinese chicken salad. We have an amazingly rich Bolognese sauce in the lasagna that we spend three hours cooking. We hear you’re going to open a new restaurant. What’s the plan with that? My wife and I have a few different ideas. We’re shooting for spring. I’m working on a cookbook right now as well. I’m getting the recipes honed, so that’s a major focus now. What’s it called? The working title is United Tastes of the World. The book combines the foods of China, Spain, India and much more. It’s basically all about making my favorite global cuisines approachable. I’m more about perfectly delicious than perfectly authentic. Lets talk a little more about SF. What’s your favorite comfort food in the city? I don’t even have to think about that. It’s the meatballs from Delfina Pizzeria on Fillmore. You know you’re going to have a flavor experience when you order them. They’ve got the lightly crispy crust on the outside from the parmesan and great sauce.What else? My family loves the tacos al pastor from Pancho Villa and there’s nothing like a good slice of pie from Mission Beach Cafe. I’ll go out of the way for Blue Bottle coffee. Their slow-drip iced coffee is like the cognac of coffee to me. And my family likes Manora for Thai food in SoMa. Anything else? I’m so excited to be back in the city and to get this show off the ground. My goal, in all my ventures, is to inspire people to eat well every day, one meal at a time. Hopefully my new series, cookbook and everything will get people closer.